Note: Post may contain affiliate links. If you’re not tired of hearing me say it, I love self-publishing as a source of passive income. Last month marked another record in self-publishing income at just under $1,600 for seven books across Amazon’s three formats; Kindle, paperback and audio. It may take a couple of months to put a book together but there is very little ongoing work after it’s published. It’s one of the best sources of passive income and a natural fit for any blogger or anyone looking for a work from home income. While it’s easy enough to make passive income self-publishing once your book is selling, you do need to promote your Amazon book if you’re going to break away from the huge list of new authors every year. Fortunately, if you are thinking about promoting your book then you’re already way ahead of most authors. It isn’t difficult to get your self-published book ranked on Amazon but you have to spend some time developing your strategy. If you haven’t read it yet, be sure to check out our free 10-page guide on how to publish a book including how to get ideas and how to find the right help. The average self-published author makes about $5,000 a year and a fifth make next to nothing. More than a million new books are self-published each year. Amazon is great about marketing a book once it is ranking and selling well but you need to give it that initial push to get momentum started. I’m going to share my basic book promotion strategy for launching my Amazon books and then some ideas on building social proof for your book. 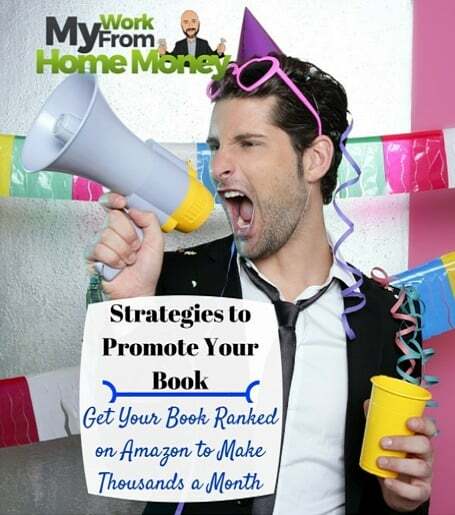 The idea behind promoting your Amazon book isn’t to sell a ton of copies but to sell enough and build enough buzz that your book gets boosted in the ranking for its category. This starts with positioning it in a category that isn’t too competitive but has enough readers to make consistent sales, something we talked about in our 10-page guide on self-publishing. Once your book is showing up in Amazon searches and when people browse the category, it will continue to sell on its own and maintain or even improve its rank. Follow your books’ rankings on your Amazon Authors Central page to make sure your rankings don’t slip but you might need to promote your book each year to refresh its rank. Your first week or two of sales is extremely important. You need to reach out to everyone you know on social media to talk about your book and ask them to buy a copy on Amazon Kindle. If they don’t have Kindle, it’s free and takes less than a minute to download on their tablet or computer. Don’t waste your time with free days during the launch. Amazon allows you to offer your book for free before raising the price. You can get thousands of downloads and it used to be a good way to rank your book but then Amazon changed things up. Free books are now on a completely different ranking system than paid books. You could be #1 in your category for free books and then lose all your effort when your book goes on the paid ranking scale. Instead, launch your book for $0.99 during the first week. You will immediately start ranking on the paid books scale and most people see little difference between free and a dollar. Your mission is to get as many people to commit to buying a copy during that first week. Get email addresses, phone numbers, whatever you need to check back with people for reminders. It gets a little harder after you’ve launched several books but most people won’t have a problem helping you out with buying your first self-published book. You do have to be aggressive though and remind people to go online. Many will commit to buying the book but will then forget or ‘not get around to it’ during the launch week. Make sure they know how important it is to getting your book ranked. Don’t just email people or update your Facebook page with a request. You have to personally ask people to help you out. Don’t be shy, you really aren’t asking for that much. You’re only going to be getting $0.35 for each discounted book, so it’s not about the money but about getting those initial sales. Promoting your Amazon book really is as simple as that, personally asking people to help you out with a purchase during the launch. There are two other book promotion strategies you’ll want to use though they aren’t as effective as just asking and they’ll take more time. Reach out to bloggers within the topic area for a guest post. We cover guest posting in the Six-Month Blogging Cheat Sheet but it also works to promote an Amazon book. 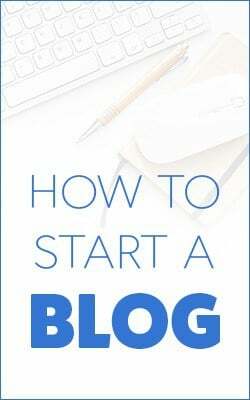 Many blogs schedule their posts out months in advance so start reaching out to bloggers early about offering a post for their site. Offer two or three topics on which you might write and don’t be too promotional about your book. Make the post about a reader problem and how to solve it or some topic related to your book. Include a short paragraph at the end about your book with a link to the Amazon page. Publishing the book during your launch week is best but publishing earlier can work if you link to a landing page on your own blog where people can sign up to get reminded when the book launches. Provide a quality article of at least 600 words and keep to any guest posting policies on the site. You may want to reach out to the blogger again so it’s best to go over-and-beyond expectations. It’s important to note the right way and wrong way to link to your Amazon book. You’ll see all kinds of links to your Amazon book page depending on how you get to the page. Besides guest posting, you can reach another audience to promote your self-published book through your own blog. It takes time to build a following but you’ll get a lot of sales for your launch week and continuous sales from the blog over time. Your blog doesn’t have to be anything fancy. Put together a few pages including an About Me and a blogroll that you post to once or twice a week. 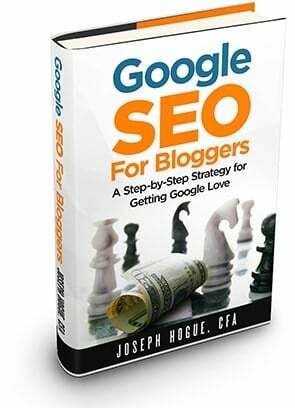 Even a simple blog started a few months ahead of your book launch can draw thousands of people from Google and social media, some of which will buy every book you write. Don’t wait to start your blog though, it takes months to build search traffic so it’s not something you can start just ahead of your launch. Build a blog in as little as 15 minutes with this special offer from GoDaddy.com – Click Here . Another factor that self-published authors overlook in promoting their book is the importance of social proof. With the boom in self-publishing, readers have gotten skeptical about the quality of new books and new authors. Your biggest hurdle is to build that initial trust that gets over this skepticism so people will buy your book. You do this by building social proof, which is the reviews and quotes people give you for your book. If a lot of other people have enjoyed your book, then potential buyers assume they will also enjoy it. Building social proof is mostly done through reviews. Anyone can leave a review for a book on Amazon, whether they buy it or not. Reach out to all the people that committed to buying your book during the launch and ask them to leave a review. It’s easy and can be as little as a sentence or two. Again, just ask and a lot of people will leave a review. You can also reach out through other author and reader sites like Goodreads to exchange reviews with other authors. Other self-publishing authors are in the same boat as you and need reviews, why not help each other out? Just offer to leave an honest review of their book if they do the same for yours. I generally like trying to aim for at least 10 reviews for each of my books. You’ll get reviews over time but getting over the single digits will put you way ahead of most books and a strong sign of proof for people searching for something to read. One last note on reviews, never buy reviews on Fiverr or any other site. Amazon is really cracking down on books they think have purchased reviews and it could hit your rankings. Don’t overlook the power of promoting your books. I launched my most recent book and didn’t take my own advice, only asking a few people to buy and review it. You can see the effect below in my paperback sales for the month. While some books will do better than others, even the books in very small niches outsold my business book. Take a little time to promote your self-published book to make the effort writing worthwhile. My business book is doing just as poorly on Kindle and Audible as it is in paperback, not because it’s a bad book but because I haven’t yet taken the time to promote it. Now I have to relaunch it. It is really not difficult to promote an Amazon book and get it ranking for great monthly self-publishing income. You’ll come across all kinds of book promotion offers but it really comes down to discounting your book for a limited time and personally reaching out to people for help. Can You Still Make Money on YouTube? How Much Blog Traffic Do You Need to Make Money? I've been working from home full-time since 2013 and wouldn't trade it for the world. 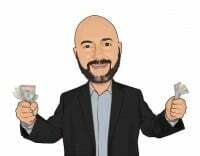 From managing five blogs, self-publishing and working as a freelance investment analyst, I love the freedom and control I have over my financial future. That's why I wanted to create this blog, to share what I've learned and pick up new ideas from the community. The 9-to-5 will never be the same! 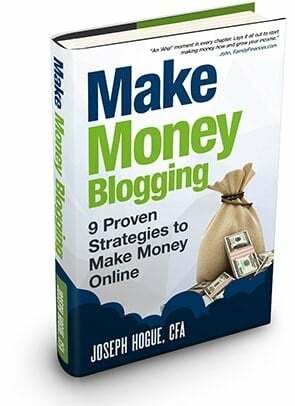 #1 Amazon Best Seller in Blogging! #1 Amazon Best Seller in Website Marketing!